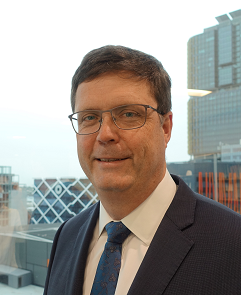 Mr McLoughlin was appointed Acting Inspector-General of Taxation & Taxation Ombudsman on 6 November 2018. Prior to this appointment, he was the Deputy, from 2009. He is responsible for both the Office of the Taxation Ombudsman, complaints service for taxpayers & advisers and the Inspector-General of Taxation’s review & public reporting directed at improving the tax administration system. He consults directly with a broad range of taxpayers and tax professionals as well as Government and its related agencies, particularly the ATO, the Department of Treasury and the Judiciary. Formerly, he was Global Head of Tax at Allco Finance Group and Deputy Head of Tax Australia-New Zealand at Deutsche Bank. He is also a hand-made-jeweller by trade qualification & small business experience.